Free Shipping Included! OMAX 40X-2500X Super Speed USB3 14MP Digital Compound Trinocular LED Lab Biological Microscope by OMAX at In The National Interest. MPN: M837ZL-C140U3. Hurry! Limited time offer. Offer valid only while supplies last. 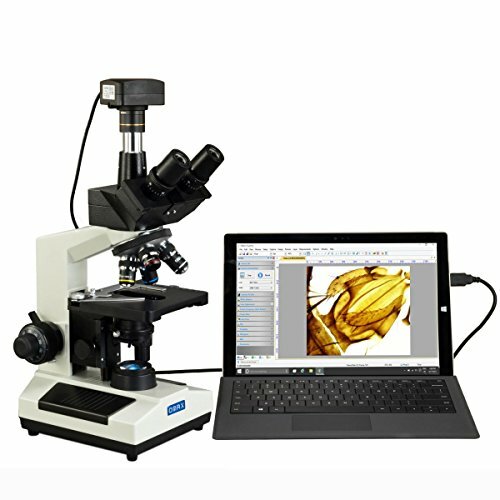 The advanced compound trinocular microscope 40X to 2500X provides a super speed 14MP USB 3.0 digital imaging system and a LED illumination system. View More In Inspection & Analysis.